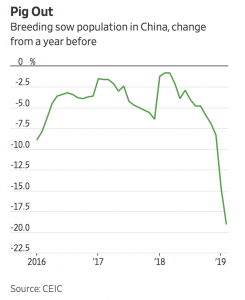 “Swine Fever in China, Stock Fever at WH Group,” by Jacky Wong. The Wall Street Journal (April 10, 2019). 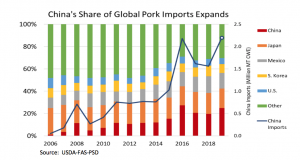 Reuters writer Tom Polansek reported late last week that, “China’s purchases of U.S. pork climbed to the highest in at least six years last week, U.S. Department of Agriculture data showed on Thursday, as a fatal hog disease continued to spread in the Asian country. 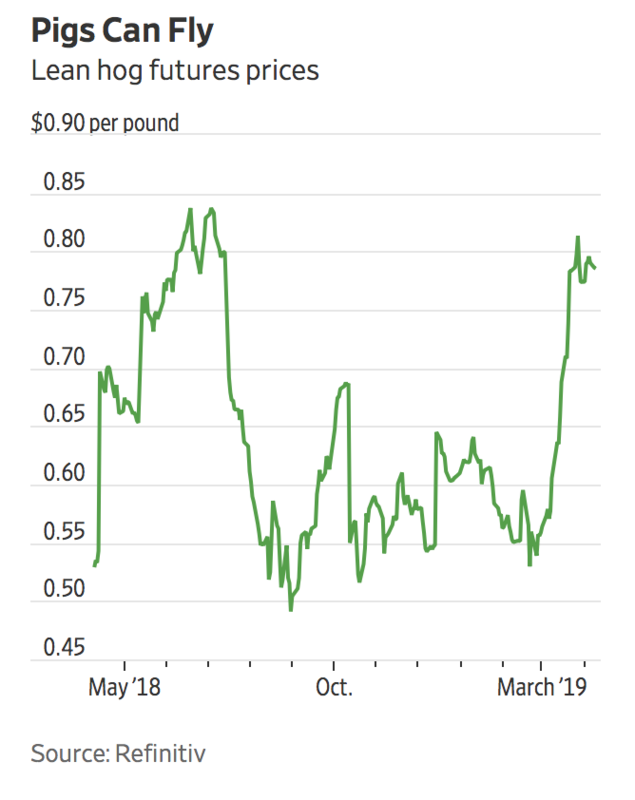 The sale of 77,732 tonnes of U.S pork in the week ended April 4 gives hope to U.S. hog farmers and meat companies such as WH Group Ltd’s Smithfield Foods that China’s demand will increase further. 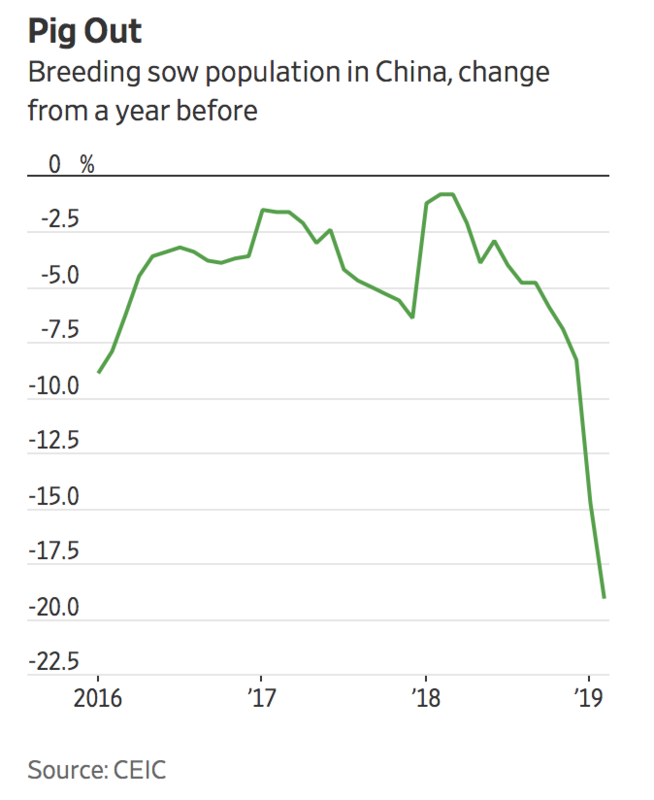 U.S. pork sales to China sank last year after Beijing imposed retaliatory duties of 62 percent on shipments in the two countries’ ongoing trade war. 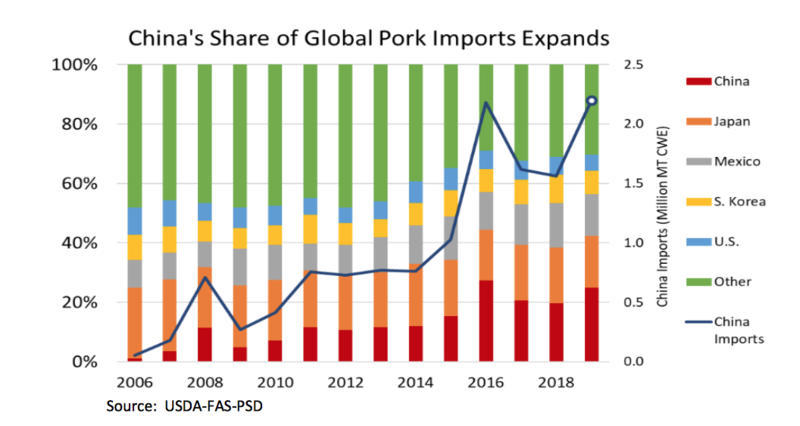 “Livestock and Poultry: World Markets and Trade,” USDA-Foreign Agricultural Service (https://bit.ly/2nCYTei – April 9, 2019). 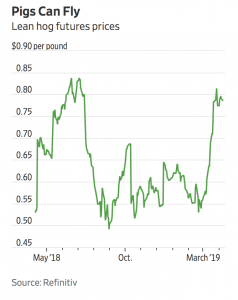 U.S. Corn Exports to Mexico: Will Policy Rhetoric Turn into Concrete Action?